I agree with everything that Sally just told you. It was between a month and a half to 2 months before Huckleberry was fully healed and used to his new life. And he was a very limber hunter feral kitty. As far as having medicine on hand, all the vets differ. Loxicom is an nsaid. In the states it is known as Meloxicam. 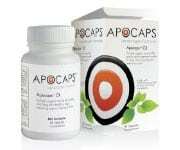 It is used for general aches and pains and arthritis. You can ask your vet if they will set you up with a refill, I don’t know if they will or not. If you see sudden attention to the amputation site, usually followed or accompanied by jumping, excessive grooming, and possible yelping, then you should ask for gabapentin. Phantom limb pain is very common right after surgery. We had to extend his gabapentin for a couple of weeks and after that he was ok. Every animal is different, and gabapentin does have pain relieving effects. As a matter of fact, my mom had back surgery several years ago and she takes it daily. There are rehab specialists that you can see that will help Arthur build up his core strength. Core strength is important in tripawds because they have to learn to rely on different muscle groups to get around after surgery. 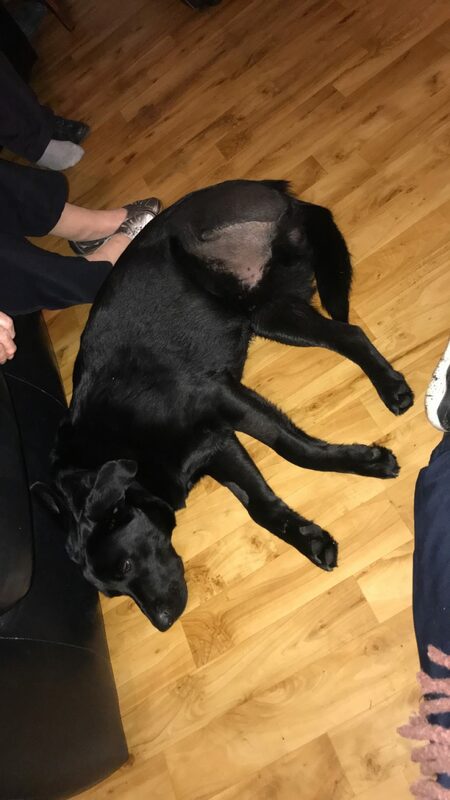 https://tripawd…..com/store/ Here is a great link for information and products that can help get Arthur back to being a strong healthy pup. There are lots of links and articles that can help you once he is ready to start getting stronger. Stitches are out, collar is off, and you would never think anything had ever happened ❤️ He is amazing, so resilient, I’m blown away!!! It’s super stormy at the minute so we are waiting to later to hit the beach, but he’s laying here so comfortable and content eating his bone without the collar being in the way 😁 it’s the little things I suppose! Give yourself a big hug! Well done!! Way to go! Glad you’re out of the woods and can now see that light we were talking about!! Yeah! That’s super duper news! Congrats on reaching this HUGE milestone. The beach sounds like fun but you may want to hold off on that. It’s a ton of exhausting work for dogs to walk in sand, and a brand new Tripawd will of course do it, but your pup may pay the price later with sore muscles. I would hold off on a trip if I were you. Our Jerry wasn’t ready for beach trips for at least two months. If you want to find out if your dog is ready I encourage you to visit a canine rehabilitation therapist for an evaluation. The best part is the Tripawds Foundation may even pay for your first visit! Enjoy the rainy day celebration! Arthur is great. Really good. The past couple of days a couple of people have commented that they’ve noticed a real change in his personality – they’ve suggested he might be depressed. any tips? Is this something I should speak to the vet about, or is it easily remedied? Curious what specifically some people jave noticed and how much time do they spend with Arthur day in and day out? “Depression” is not generally an emotion dogs possess. It’s an emotion humans possess it may be they are just transferring how they might feel in thos situation . So what’s probably really gping on is it’s not quite thee weeks since the MAJOR SURGERY amputation. Arthur is still adjusting to his new gait. Many dogs still need some form of pain meds into their third week and beyond. I know your Vet never prescribed anything more than the anti-inflammatory, but I DO hope you are at least still giving him that. Sometimes what people describe as “depressed” is a sympton of pain. From your observation thpugh…and you’re the one who is with Arthur the most and the one who has gained so much knowledge about recovery time….. it sounds like you believe he’s doing great for three weeks out. Eating, drinking, engaged, alert, tail wags??? If that’s what you are observing, sounds like he’s spot on! He srill needs his quiet time and extra rest though. Navigating on three legs takes a lot of energy! Can’t remember ….are you lining up an appointment with a Rehab Specialist They are a wealth of information on how to keep Arthur fit and strong as a tripawd for years to come. Today is actually only exactly 2 weeks since his surgery! He got his stitches out on Friday, and hasn’t had any medication since (pain relief or antibiotic) his wound is perfect. He does eat less, but often. His tail wags everytime he sees me. He loves being outside but is definitely aware of his limits, goes out for his #1 and #2 runs around for a minute or two and comes back in. My only personal concern is that he is always tired, if he’s not outside, eating, or chewing his bone, he’s sleeping. And I don’t mean resting, I mean full on snoring! This may be pretty normal, it’s just odd for me as he’s never been this way before. No, I haven’t any plans at the moment to go to a rehab specialist. I am super keen to take him to some sort of professional, be it a physio or something. With living in Northern Ireland we have such a limited range of resources at our disposal. I am not sure if it’s even a thing here. I do know there are some doggy swimming pools where an instructor takes them for a bit to assist with mobility etc in injured or arthritic dogs so that is looking to be my best option. I do have to contact them to see if it’s suitable for him as I don’t want to end up overdoing it and hurting his remaining limb/muscles. If they don’t have any experience working with Tripawds I will be reluctant to trust them with him. I am going back to work in 2 weeks time. I am already dreading leaving him, even though he is 100% healed and (in my opinion) fine; not a danger to himself. I just don’t want to add to any confusion, sad, frustrated feelings he has. I have spoke with a lovely lady who runs a doggy daycare /boarding kennels facility near where I work so I am in two minds whether to try him there so he’s always in good company/socialising with other dogs etc. I’m scared the excitement will be too much for him and he’ll overdo it!!! It’s a vicious circle. I never know if I’m doing right by him. If he’s never been to a doggy day care before, I think I’d hold off for a vit until he’s a further along in his recovery. I also think it may be too much excitement since the whole experience would be new to him. Dogs may take his excitement as a sign of being vulnerable. You may try taking him for a visit a few times before leaving him for a full day. Others can mayve better advise you who have actually dealt with this. As far as getting the Bet to recheck his blood, I think that’s a good idea, simply because of the blood loss from the accident. And if for no other reason, so YOU can have some reassurance! That said, tiring easily this early on is still fairly “normal”. arthur is only 3 weeks post op tomorrow so I am fully aware he will still be in mild pain etc and I also know that he’ll never be fully 100% again. but the past couple of days, he has been hurting himself by accident (for example there now he walked into the fridge and banged his stump of it) and cried really bad. Yesterday he was chasing a cat and tripped and landed on his bad side. No injuries (scrapes or blood or anything) but whenever it happens and he’s crying his stump trembles (no other part of his body does) but whenever I rub it he settles down. Awwww…… sorry to hear Arthur is having some owweees. Refresh my memory, when you say stump, can you show us a picture of his amp site? Some vets do leave right much of a stump and some don’t. Right now, regardless of whether a lot of stump is left or not, it’s still going to be sore for awhileif he bumped it. Arthur is still learning how to balance on three legs, so he’s still maybe a bit ” clumsy”. yeah, it must just be tender because he was getting really good at rolling over and sitting/laying on that side, he has just rolled over and cried really sore. It feels like it’s one step forward and two steps back. Would it help if I padded it in some way? Or would that annoy him further? Your first blog post has been approved, and all your future blog updates will not require moderation. Please see our comment on your post for tips about sharing photos in blog posts.